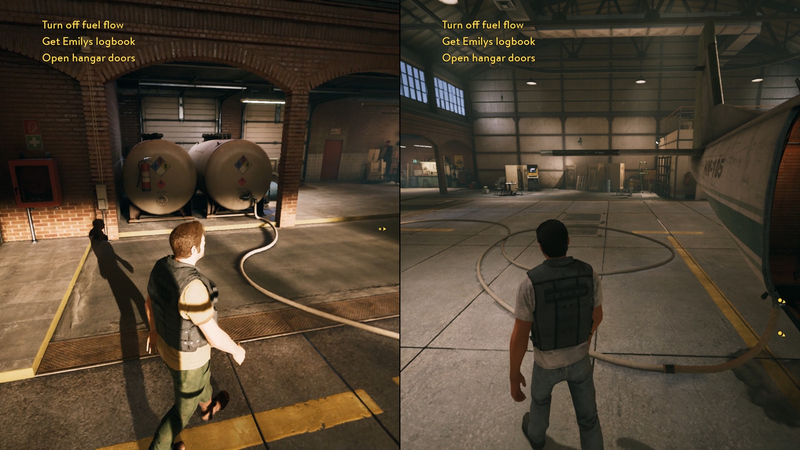 It’s nice to play a purely co-op game, but does A Way Out offer enough? There aren’t many couch co-op games these days. You’re lucky to find a new title that even offers splitscreen for multiplayer, so it’s a refreshing change to see that A Way Out outright demands you play it with a friend on a couch, and if not that, online. It’s a hurdle that might shrink the potential playerbase, but for those that do have someone with which to play A Way Out, they’ll be greeted by a charming game about friendship and trust. 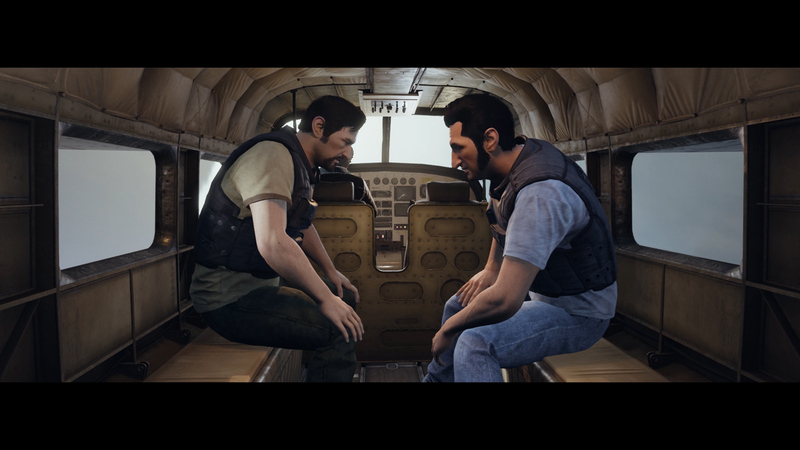 A Way Out is the latest game from Hazelight Studios, a development team headed up by Josef Fares, the creative mind behind 2013’s Brothers: A Tale of Two Sons. 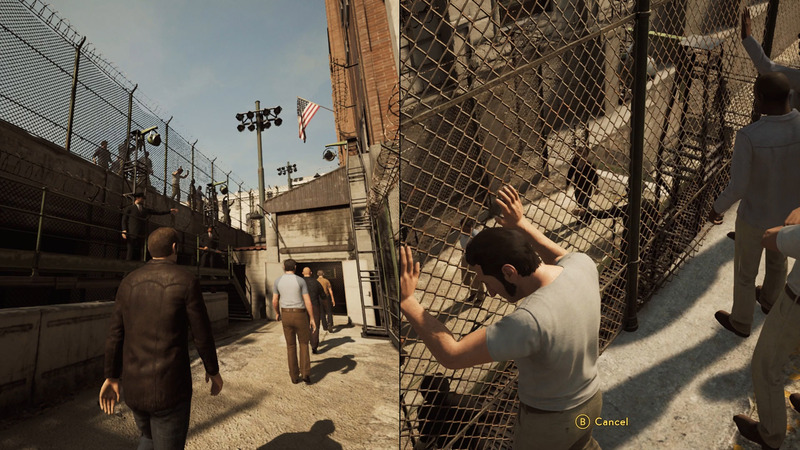 Much like Fares’ previous title, A Way Out is a story-focused affair that will see you and your co-op buddy work together to break out of prison, become fugitives, and prepare for a life on the run. 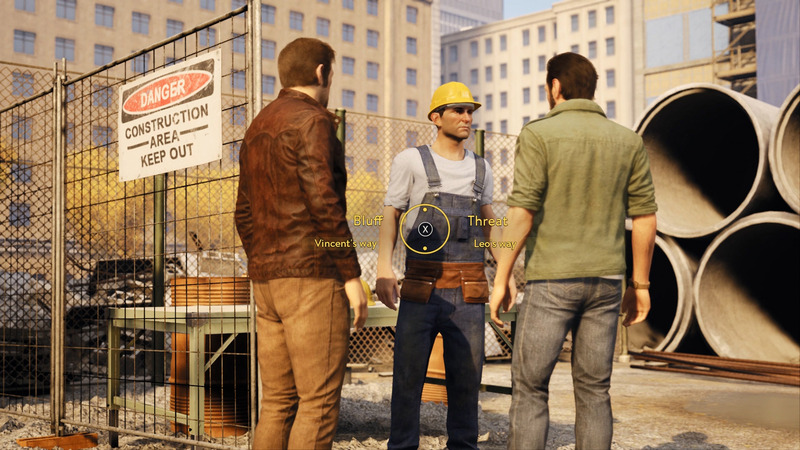 Because it is a pure co-op experience, one person will take the reins of Vincent Moretti while the other takes on Leo Caruso, the two main characters in A Way Out. It’s immediately a unique experience unlike anything else on the market in recent years. Whoever is controlling Vincent will be walking into the prison fresh-eyed whilst Leo is chatting in the yard like it’s just another day. As opposed to starting out as equals, you both approach the situation from two contrasting positions. It’s asymmetrical gameplay that I could get used to. Instead of one character taking the lead and doing all the work, you will need to actively work together to solve any problem that might arise. The simple task of fetching an item from the roof requires one player to distract the guards while the other sneaks by to nab the stolen item. You'll have quick conversations on your couch as you decide who should take on what role and then watch as Vincent and Leo work together to outsmart the guards. It’s exciting to see the friendship blossom on screen as a direct result of your planning. A Way Out introduces another element once Vincent and Leo are on the lam: split decisions. This is where the personalities of the two characters really start to shine. Vincent’s approach to most problems is to try and talk his way out or avoid conflict whereas Leo is a little more brash, opting for a direct and fast approach. A standout moment is when, confronted with an old couple in a farm, Vincent wants to distract them by letting out the horses while Leo would prefer to tie them up. A lot of the decision making will be made on your couch, as you discuss the pros and cons of each idea with your co-op partner. Unfortunately, aside from simply seeing how each decision unfolds and playing through a different area, these moments have no effect on the outcome of the game. Releasing the horses or tying up the old couple have the same results: they call the cops. These moments are also few and far between, and often, don’t even involve different playable sections. These decisions lean heavily on your desire to see how Vincent’s way plays out versus Leo’s, as opposed to offering tangible effects on the story. As for the story of A Way Out, it borrows heavily from cinematic structure, which should be expected given Fares’ history of filmmaking. Every beat of the story makes sense, and you’re always aware of what you need to do next. But this is also its greatest downfall. Because it’s so structured it becomes immediately obvious where the story is heading, and this predictability detracts from the narrative. At the very onset of the game, you know that someone called Harvey is trying to kill Leo. You find out that Leo and Vincent have the same goal, and from here on out, you know that they’ll eventually confront him. The gameplay doesn’t necessarily help this either. Despite being fun, it’s overly simple and holds your hand every step of the way. Instead of figuring out you should steal a chisel, A Way Out tells you to steal one. Instead of giving you a multitude of options on how to descend a vertical shaft, it tells you to steal sheets. And yet, despite the simplicity, A Way Out is downright enjoyable. Sprinting away from dogs, fighting through a hospital, fast-paced police car chases; they were all exciting moments to play. When it came to a close, my partner and I wanted more. We wanted more time with Vincent and Leo. We wanted more moments of panic and anxiety in the prison and on the run. We wanted more from this unique experience, and that is both a good and a bad thing. A Way Out is full of heart and soul: you'll grow to love the characters, and you'll become invested in Leo's charm and curious about Vincent's problems, but it’s light and it could leave you unsatisfied. This review is based on an Xbox One download code provided by the publisher. A Way Out is available for purchase in-store and digitally for Xbox One, Microsoft Windows, and PlayStation 4. That's sad, I thought having the different methods would make more of a difference. The whole thing seemed to me to be kind of a choose your own adventure book in video game form, but I guess it's still stuck in your beeline video game roots.